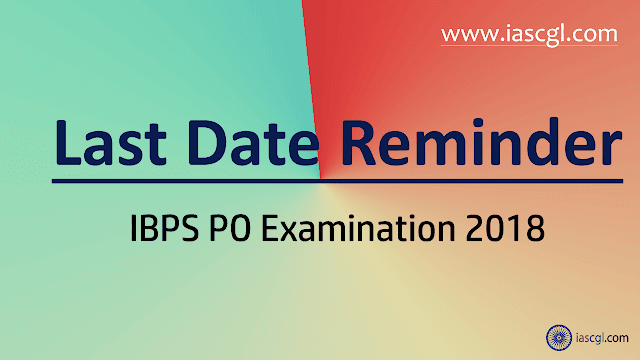 Last Date of IBPS PO Examination is 04th Sept 2018, Apply now to avoid last minute rush. Institute of Banking Personnel Selection (IBPS) Released a recruitment notice for Probationary Officer Examination 2018. Tommorrow i.e. 4th Sept 2018 is last date for online application and fee payment for IBPS PO. Interested and eligibile candidate an apply through official website. To avoid last minute rush, apply now from the given link below.